Greek Prime Minister Alexis Tsipras will meet with the Chief Executive Officers of the country’s four systemic banks on Monday to discuss the pressing issue of dealing with non-performing loans (NPLs) and protecting first time homeowners from foreclosures. According to latest information, the two sides have arrived at an impasse following negotiations last week over measures to rid banks of “toxic” NPLs. The government appears to be keen to linking the NPLs issue with wide-ranging plans to protect citizens in debt from losing their properties. The Bank of Greece has tabled a plan allowing banks to rid themselves of up to 42 billion euros of “bad loans” using a Special Purpose Vehicle; however, the government’s Financial Policy Team appears to be promoting alternative models based on Italy’s experience with similar issues. Meanwhile, ahead of this year’s general election, Tsipras appears to be keen on providing extensive protection to indebted citizens. The government is currently examining schemes to replace the so called Katselis Law, which offers protection to primary homeowners. Banking officials warn that strategic defaulters must not be offered any protection and that assistance should be made available to the financially weakest debtors. 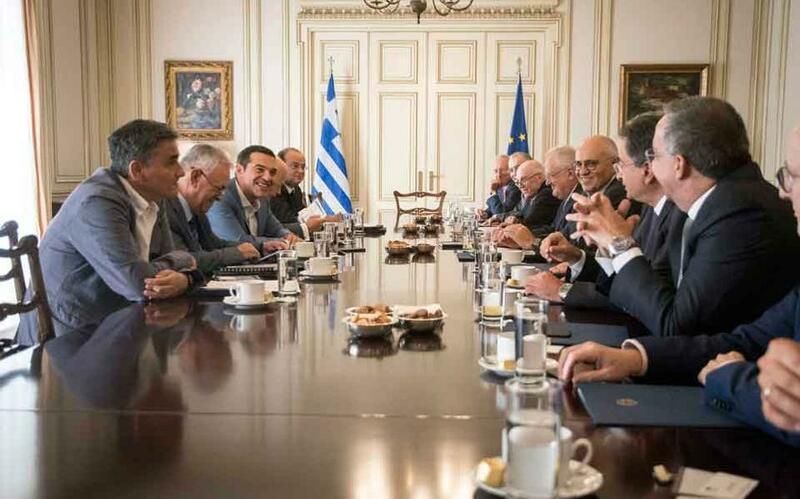 With European Parliament elections coming up in May, Greece’s Eurozone partners and the troika appear to have been quite lenient with the government in terms of implementing post-bailout reforms. However, with the European Central Bank promoting an EU-wide banking union, it is considered imperative that Greek banks consolidate their balance sheets urgently.